There’s never been a better time to speak out against injustices, stand up together for our rights and take action to preserve sovereignty, community and democracy. 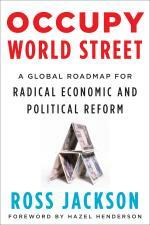 As demonstrators worldwide demand change, Occupy World Street offers a sweeping vision of how to reform our global economic and political structures, break away from empire, and build a world of self-determining sovereign states that respect the need for ecological sustainability and uphold human rights. In this refreshingly detailed plan, Ross Jackson shows how a handful of small nations could take on a leadership role; create new alliances, new governance, and new global institutions; and, in cooperation with grassroots activists, pave the way for other nations to follow suit. “Ross Jackson presents us with an extraordinary global plan to tackle the multiple crises of our times—awesome in conception, sensitive in detail, and realistic enough to succeed.”—Richard Register, author of Ecocities—Rebuilding Cities in Balance with Nature. 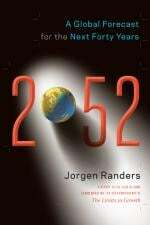 Commemorating the fortieth Anniversary of The Limits to Growth, 2052 asks, what will happen to humanity over the next forty years? We know that much needs to change to make our future more sustainable. But will we rise to the occasion? How much change is likely to occur? And how do we prepare to live good lives in the world that is likely to emerge? These are the questions that propelled Jorgen Randers, a renowned analyst of global trends, to ask dozens of leading experts around the globe to weigh in with their best predictions on how our economies, energy supplies, natural resources, climate, food, fisheries, militaries, political divisions, cities, psyches, and more will take shape in the coming decades.